The Siliserh Palace was a gift of love from Maharaja Vinay Singh of Alwar to his wife Rani Sila. It was built around 1845 and served as the residence of the Queen. The Lake reservoir was name Siliserh after the name of the Queen. The lake was built to supply water to the district of Alwar. The lake palace is now turned into a mesmerizing heritage hotel. It is the perfect place for visitors to Alwar. It is now owned by the Rajasthan Tourism Development Corporation. The location of this hotel over-viewing the beautiful lake is the most important reason for its popularity. It has 12 guest rooms, divided into the varieties of Luxury Suites, Air-conditioned and Non-Air conditioned rooms. The rooms are filled with all modern amenities like attached bathrooms with 24 hours hot/cold water available, color TV, laundry, doctor on call and 24 hours efficient room service. The view of the lake from the dining hall is just mesmerizing and to underline this effect, the hotel serves you with delicious Indian cuisine, especially lip smacking Rajasthani traditional dishes. There are also large conference hall available for the visitors. The hotel also arranges for pedal and motorboat rides in the Siliserh Lake. The most exclusive facility here is that the hotel arranges for theme dinners in the artificial lighthouse set up in the middle of the lake. All in all, the Siliserh Lake Palace is a must visit if you want a luxurious treatment throughout your holiday. Other Contact Details: +91-144-2886322/ +91-144-2886050. The tariff of the hotel is inclusive of all meals. Tariff charges vary during the year. Charges are different for weekdays and weekends. Charges are different from Christmas to New Year Day. It is advised that you check the tariffs before visiting. The best time to visit the lake is during the sunset. Two days stay is recommended. The hotel tariff is INR 3500 per couple. Delhi is the nearest airport. Alwar is the nearest rail and bus station. 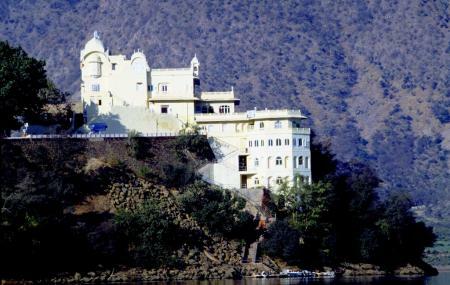 How popular is Siliserh Lake Palace? People normally club together Purjan Vihar and Karni Mata Temple while planning their visit to Siliserh Lake Palace.